Spotify premium account allows you to do a variety of really useful things. 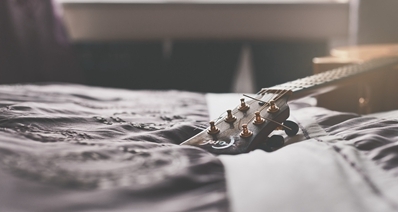 One of the best features of it is that you can save your music with Spotify playlist for offline listening. Isn’t that great! This allows for you to listen to your favourite songs using Spotify on a variety of devices even without internet / data connection such as in the case when you are offline, flying on a plane or at somewhere with no cell phone signal etc. We will discuss the many methods involved in this. The steps involved are fairly easy to follow. Step 1 Select the option of "New Playlist" from the left side of the screen and then give a name to your playlist. Step 2 Now, drag the songs that you want in this new playlist and drop them in order to add them to the playlist. 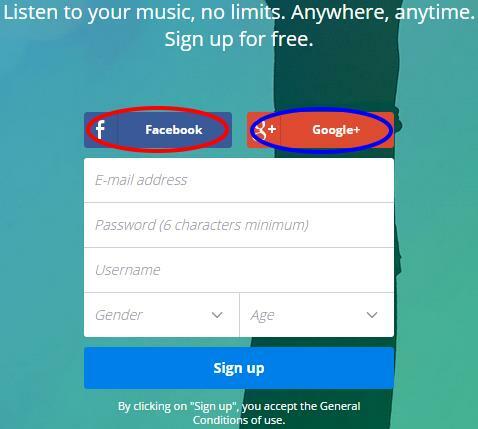 You may also right click on the song instead and select the option of Add to Playlist. Step 3 You can also create a folder if you want to organize the different playlists. Simply, right click under the Playlists on the left and select the option of "Create Folder". Then, give your new folder a name. Step 4 Now, drag and drop all your playlists into the new folder that you have created. Step 1 Press the button as screemshot, which in the top left hand side. Step 2 Then, select the option of "Your Music". Step 3 Press the "Playlists" option. Step 4 Now, select the option of "Edit" from the top right hand side. Step 5 Click the plus / + sign, given in the top left hand side. Step 6 Now, for the final step, simple enter the name of your new playlist and click on option "Create". Step 1 Click on the option "Your Music", given on the left hand side of the screen. Step 2 Now, press the button "Edit", next to the section Playlists. 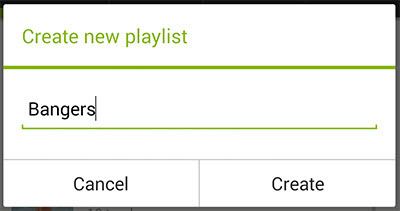 Step 3 Select the option of "Create new Playlist". 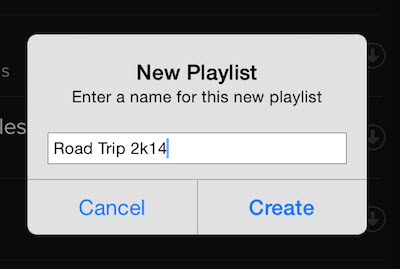 Step 4 Give a name to your new playlist and hit "Create" to finish the process. Step 1 Click on the menu button with 3 lines, you should find this on the top left hand side of the application. Step 2 Click on the option "Your Music". Step 3 Now, select the option of "Playlists". Step 4 Once on the next screen, press the plus / + button, given on the top right hand corner. 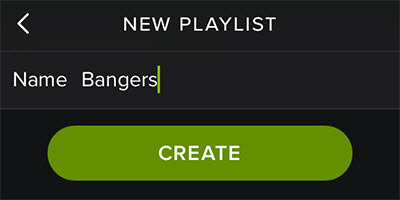 Step 5 Now, for the last step, just enter the name for your new playlist and hit Create. 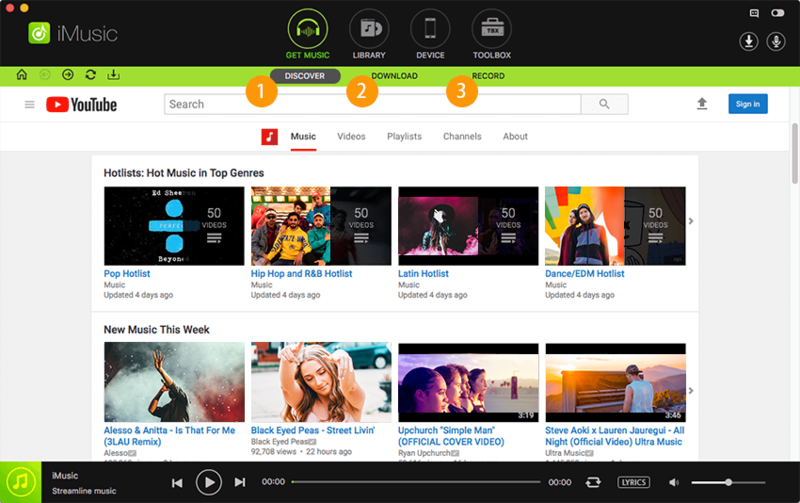 How-to > Streaming Music Services & Sites Tips > How to Save Your Music with Spotify Playlist?